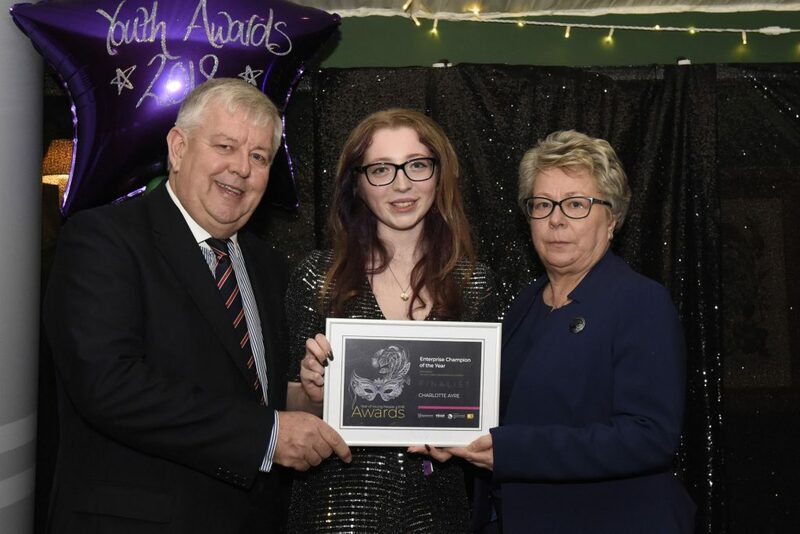 The HALO Urban Regeneration Company is proud to support the young people of East Ayrshire and would like to congratulate all of the winners at last night’s East Ayrshire Year of Young People awards. 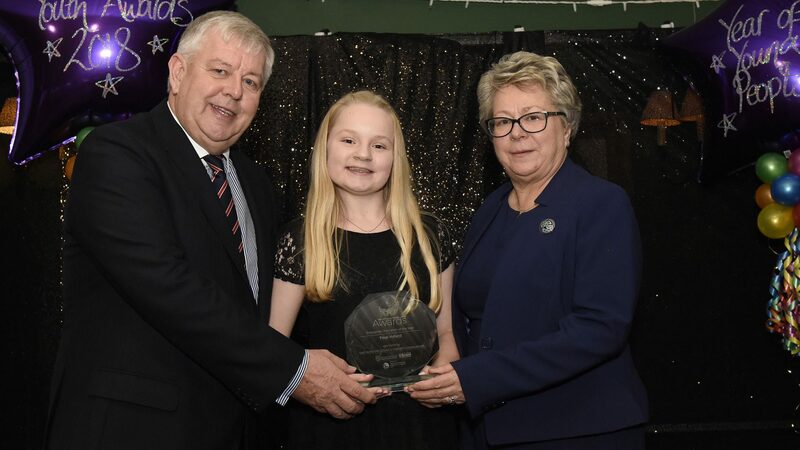 Bill Stafford, Non-Executive Director of the HALO Urban Regeneration Company, attended the awards and presented Kilmarnock Academy’s Paige Holland with the Enterprise Champion award which was sponsored by the HALO. This award recognises Paige for her enterprise of harnessing her passion and channelling it to promote economic growth. The Year of Young People 2018 is an opportunity to celebrate the amazing achievements and contributions of East Ayrshire’s young people who have helped to co-design the Year of Young People programme. A high impact, celebratory events programme, with young people at the heart of development and delivery has created new and valuable experiences for young people, families and visitors to the community. Last night’s event celebrated the achievements, diversity and civic contribution of East Ayrshire’s young people and gave them a positive platform to be recognised as exceptional young citizens. 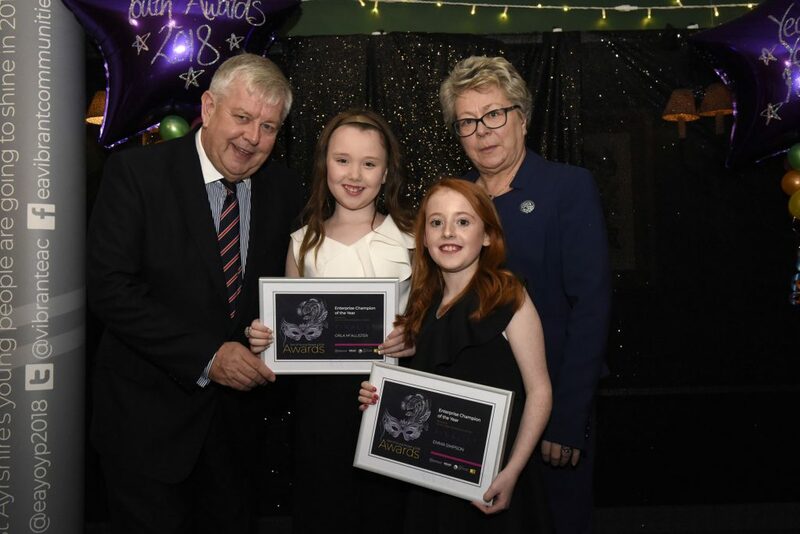 Marie Macklin, Founder and Executive Chair of the HALO Urban Regeneration Company, said: “Congratulations to Paige Holland who is a well deserved winner of the Enterprise Champion award and a massive well done to all the entrants and winners across all the categories. 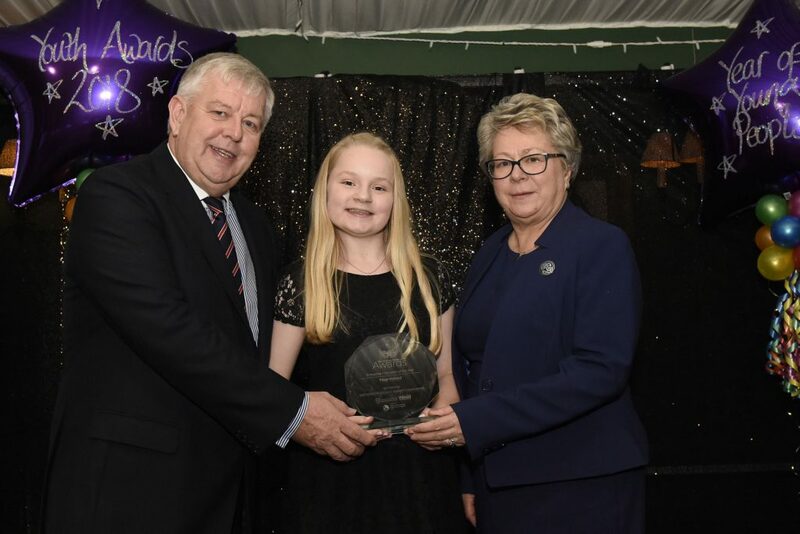 “It is an honour to be able to work alongside East Ayrshire Council who has recognised how much the amazing achievements and contributions of all our young people are making to the local community.